A lot of AMD graphics card users, especially the ones with R9 290s and 380s are complaining about high GPU usage. This is happening even while using the most common non-resource intensive applications in Windows. Fortunately, this is not something that you need to worry about. It is just a limitation of the GPU monitor that you are using. I don’t have an AMD GPU with me, so I can’t test this on my system. Though, according to most users are this usage spike of 100% isn’t something that is affecting the performance of their PC. It looks like the GPU is reporting wrong values to the OS. This erroneous usage reporting can be fixed easily. 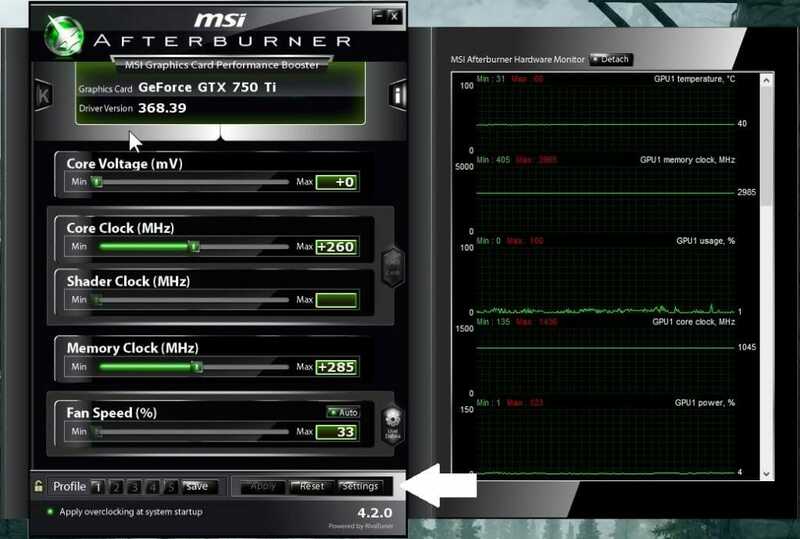 You just need to use the MSI Afterburner and enable unified GPU monitoring. Continue reading below for the steps. Go to MSI’s official website and download the MSI Afterburner zip file. Open the zip file using WinRAR or 7Zip and extract its contents to your Desktop. Open the installer file and install the MSI Afterburner on your PC. After the installation is completed, you will see a shortcut on the desktop for launching the afterburner app. Open it. In the above picture, you can see the how the afterburner looks like. I have a NVIDIA graphics card, so it might look a bit different from your PC. The slider readings and manufacturer’s name depends on the card that you have installed on your PC. 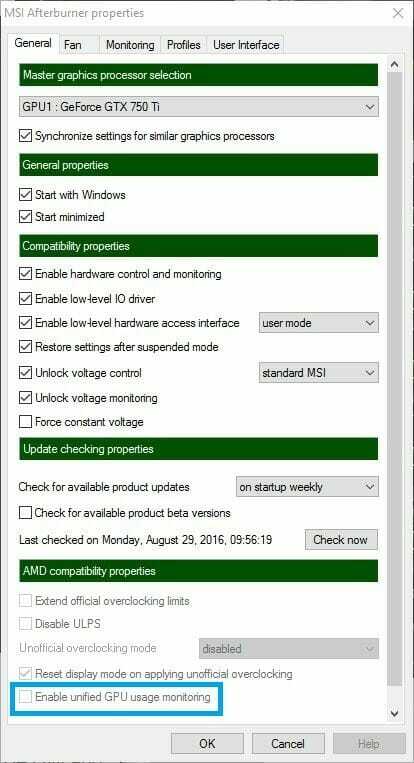 On the mid-bottom of the app, click on Settings and go to General and the scroll down to AMD compatibility properties. Check the “Enable unified GPU” usage monitoring and click OK. It is greyed out for my PC because I have a NVIDIA GPU so, I can’t access that option. On AMD systems, it will be changeable. Click OK and minimize the Afterburner to your system tray. Enabling the unified GPU usage monitoring inside the AMD compatibilities allows the PC to better understand the GPU usage. It looks like the newest AMD drivers are a bit buggy at the time. This is causing the PC to detect 100% GPU usage even if the card is sitting at idle. You can wait for the official word from AMD and wait for their updated drivers. it worked, thanks a lot!.